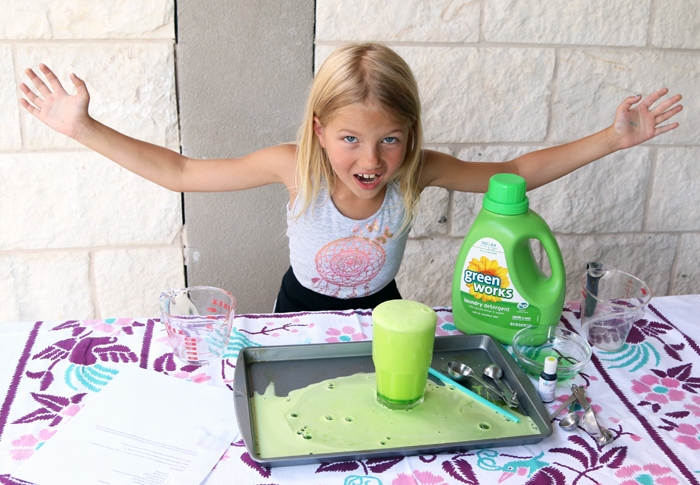 We went into Summer with big plans for traveling, reading, art, music, and even a little math but when Green Works reached out to us to partner on their new initiative we realized that we had left science off of the schedule. 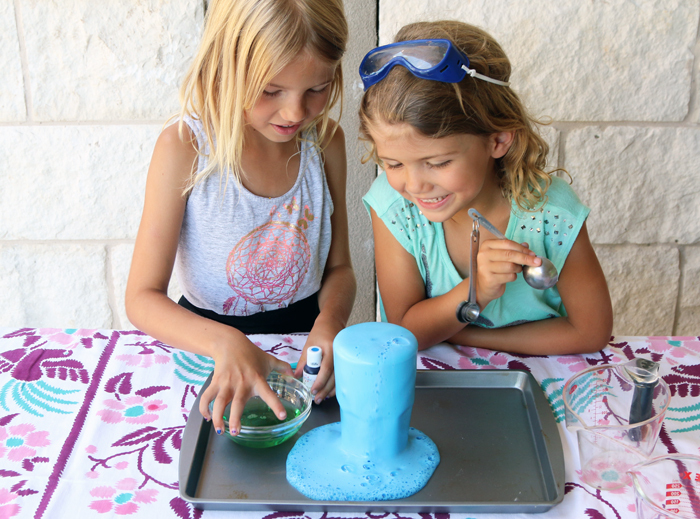 We needed to get these girls busy with some exciting experiments to encourage their love of science and the AAUW (American Association of University Women) Scientists and Green Works were ready to help. 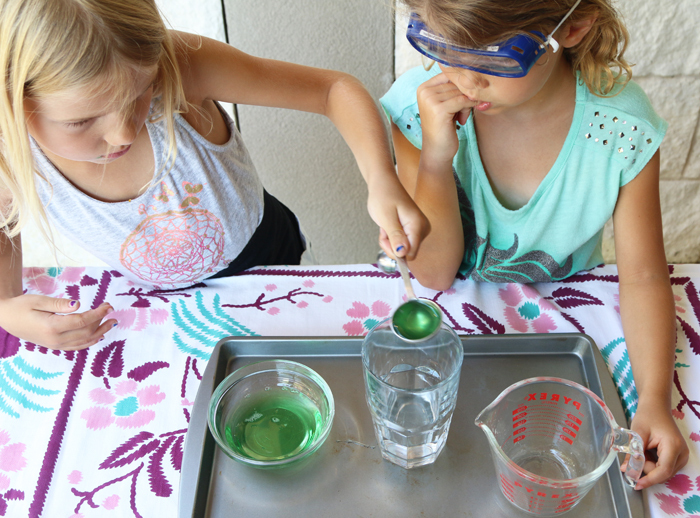 Our society tells girls and women that they don’t belong in science, technology, engineering, and math (STEM) fields. 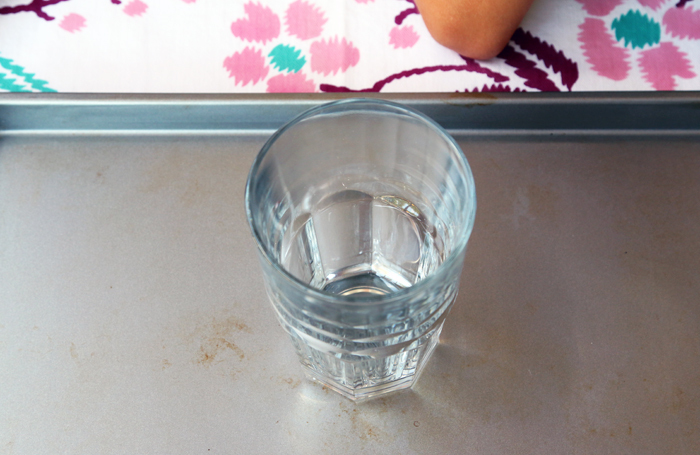 As early as first grade, children have already developed a sense of gender identity, and most have developed unconscious bias associating boys with math. 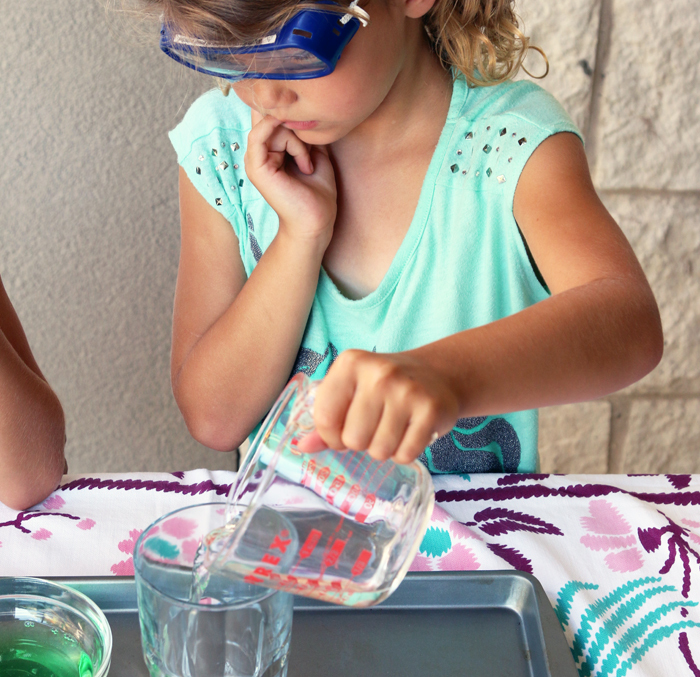 Toys still reinforce rigid, highly gendered stereotypes that encourage only boys to build or engineer. 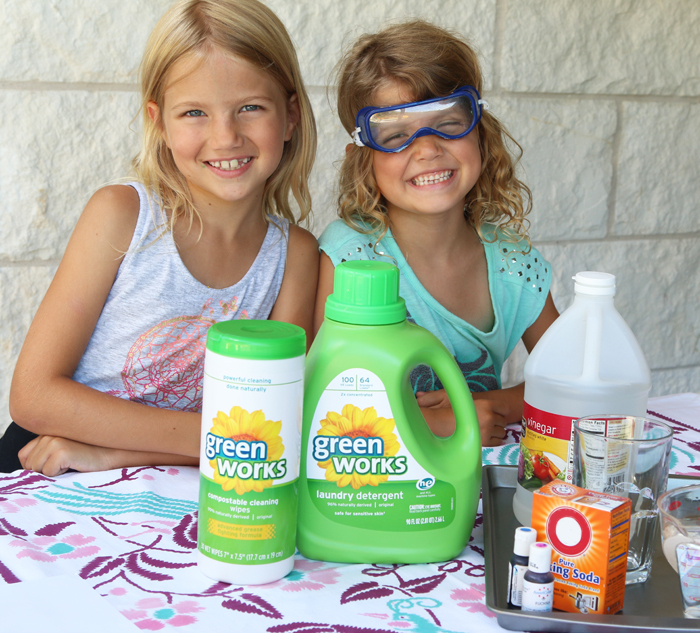 Take a look at Green Works AWESOME video which explains why they were inspired to launch this initiative and how they plan to accomplish their goal of build a STEM Pipeline for Girls and Women. 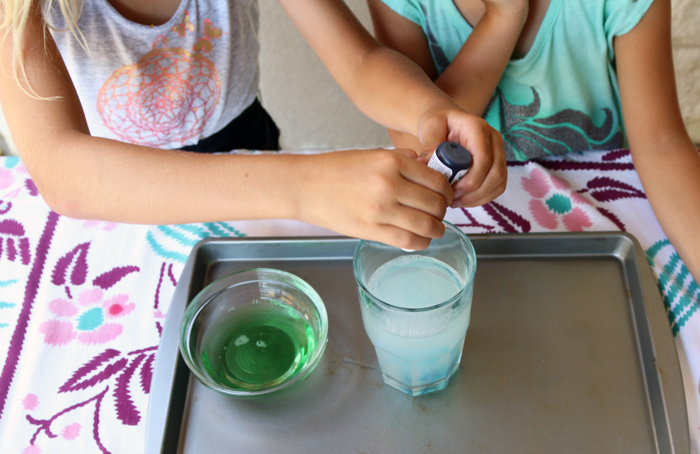 Read on for instructions on how to conduct one of their science experiments with a few household products. Step 3: Quickly add the baking soda. 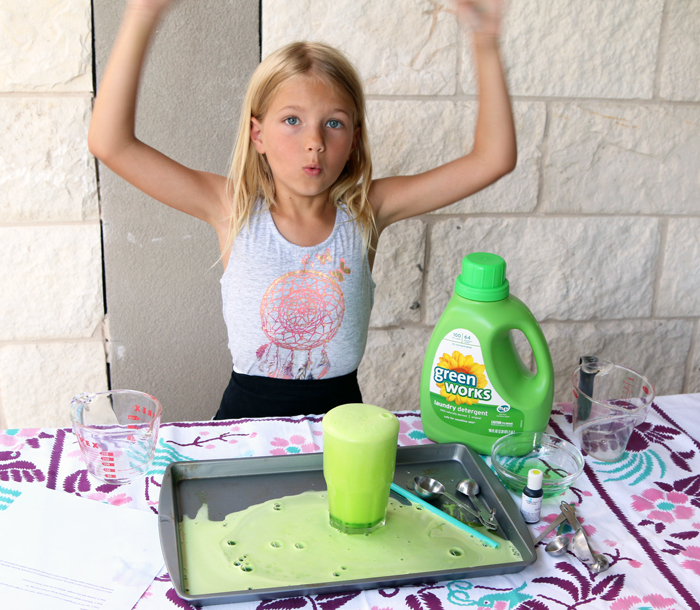 Watch as the foam fizzes and pops! 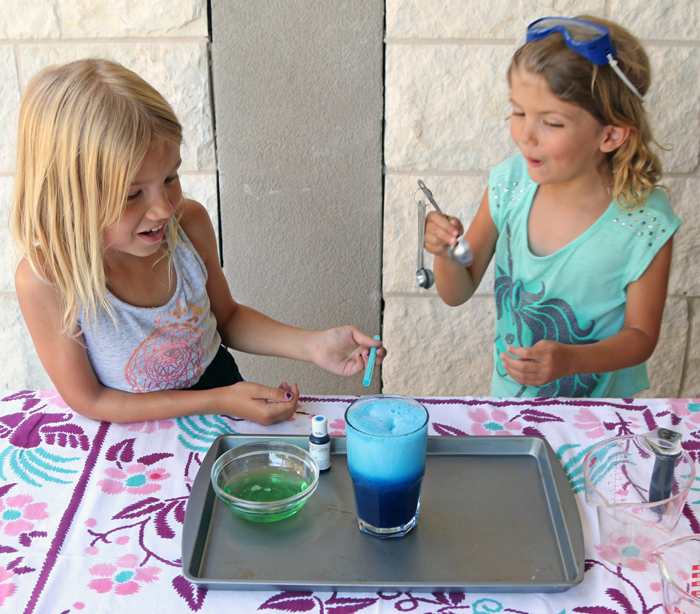 We had so much fun that we had to try a different color! Green, of course. 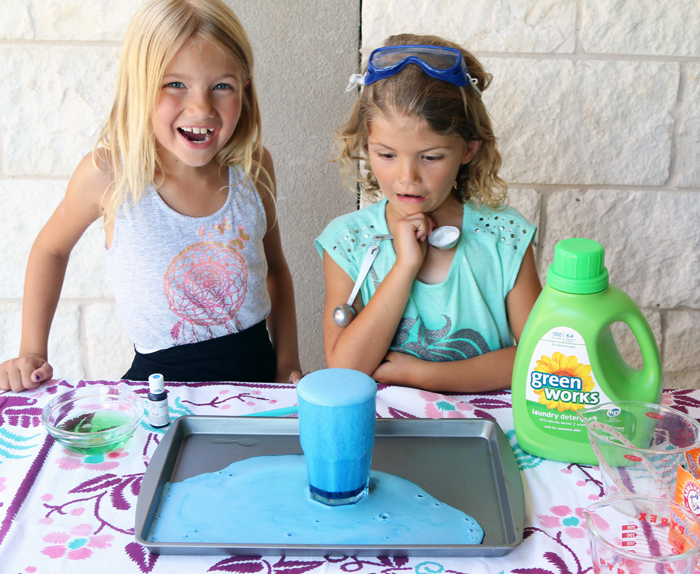 In this experiment, the fizz is produced by a chemical reaction between baking soda and vinegar and one of the products of the reaction is carbon dioxide gas. This gas forms bubbles that are surrounded by the liquid. The laundry detergent makes the bubbles last longer, and a foam is produced. 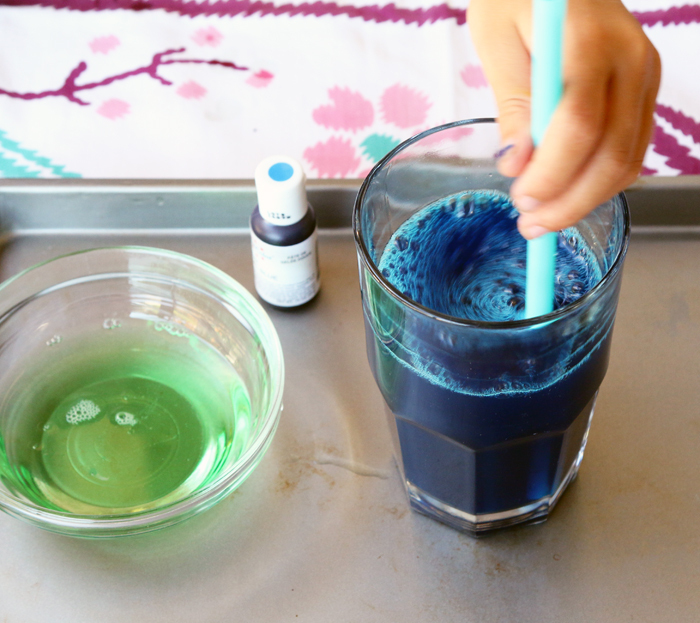 The food coloring? Well, that’s just for fun. Project developer: Alexis Lennon currently interns with the American Association of University Women (AAUW) in their Fellowships and Grants department. Alexis is also a first year graduate student at American University. 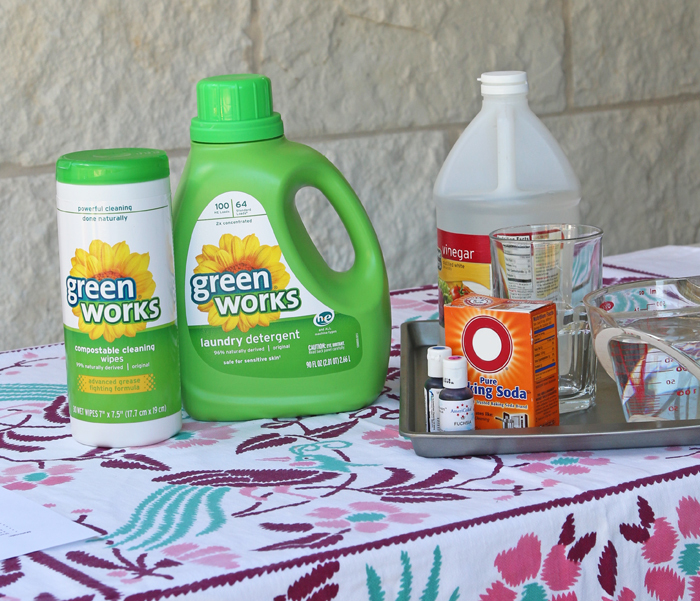 Shouldn’t step 3 be baking soda, not vinegar? Yes, Chelsea, thank you! Geez Luise! 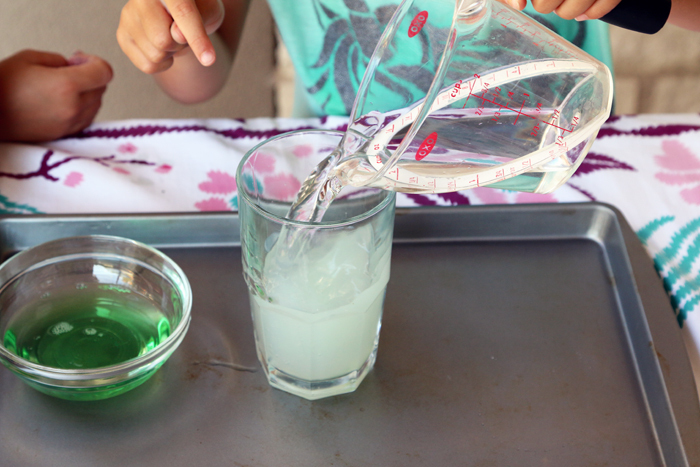 What a fun elementary experiment!